The crew behind Stoker — Tribe Hospitality — are constantly looking for ways to innovate and shape the F&B scene here in Ho Chi Minh City. Over the past few years, they’ve taken what was largely a culinary blank canvas in their neck of the woods in the city and turned it into a lively and colourful must-visit area thanks to Racha Room, Relish & Sons, Phat’s Dumpling House and now Firkin. But it’s not all just cocktails, canapes and cream cheese. 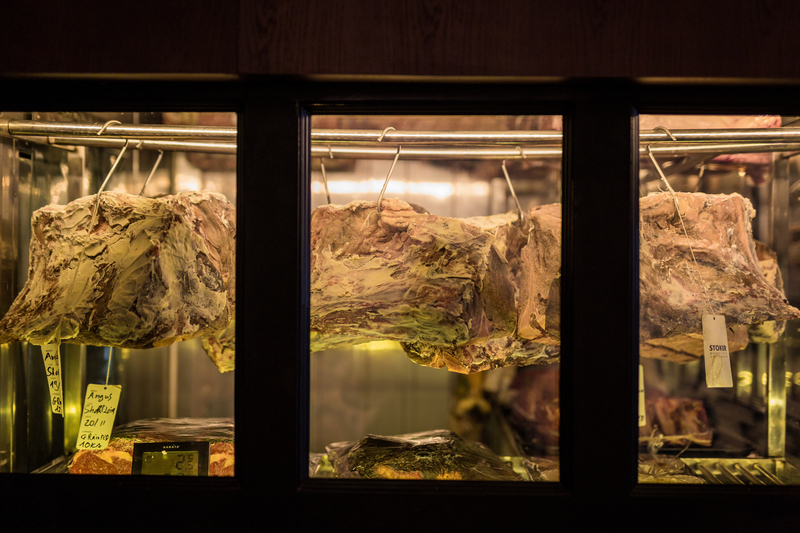 Stoker has a set lunch menu that rivals any other around town and serves it up in a bar and lounge that doffs the hat to British hunt clubs of yore but is adapted to fit the idiosyncratic nooks and crannies of inner city Ho Chi Minh City’s narrow architecture. There are a couple of options for lunch; a starter with a main (VND200,000) or a starter, main and dessert for VND240,000. Things start with a soup of the day which changes daily, followed by three main course choices: herb crusted basa with charred leeks, or a 12-hour smoked beef brisket with house-made pickles and BBQ sauce with toasted bread. For VND75,000 extra, get a 150g grain-fed Aussie steak with a choice of mash, wood oven vegetables or chips and either a chimichurri or bearnaise sauce to lather it in. My beef brisket choice was tender and smokey. Just when I thought I couldn’t be impressed any more, I discovered a pinch of Murray River pink salt to the side, and when combined with Stoker’s house-made BBQ sauce, it sent my tongue into a tingling frenzy. You don’t need much of the salt to kick things up — it’s powerful stuff but highly recommended. Dessert — cheekily named ‘happy ending’ — also changes daily and on this day it was a choice of a bread and butter pudding with berries and custard, or a banana custard tart with coffee cream, bookended with a Lavazza coffee or tea. Lunch is served from Monday to Friday between 11.30am and 2.30pm.